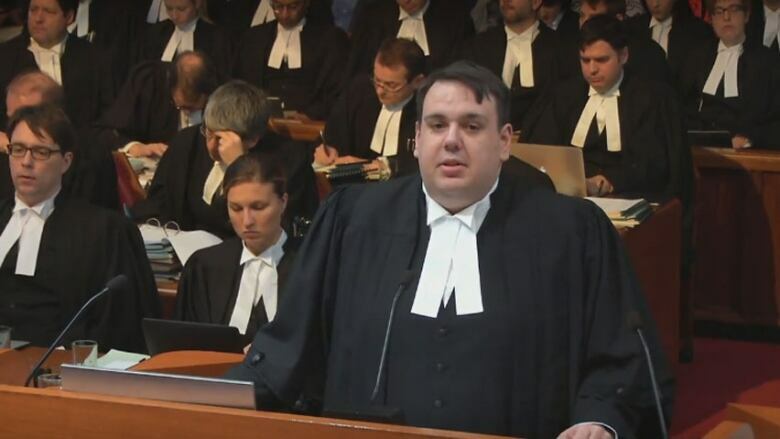 New Brunswick restrictions on the importation of alcohol are not just about generating revenue but also about fulfilling the province's constitutional obligations, a prosecutor representing the province argued before the Supreme Court of Canada on Wednesday. New Brunswick's restrictions on the importation of the alcohol are not just about generating revenue, but also fulfilling the province's constitutional obligations, a prosecutor representing the province's attorney general argued to the Supreme Court of Canada on Wednesday. The attorney general is appealing a 2016 lower court acquittal of Gerard Comeau, whose lawyers successfully argued he had the constitutional right to buy cheaper beer in Quebec and bring it home. Prosecutor Bill Richards acknowledged alcohol is a "huge money-maker" for the small province. "I'm not shying away from the fact … it would be silly to do so," he told the nine-justice panel hearing two days of arguments about the case that could have far-reaching implications for interprovincial trade, the economy and consumer choice. But Section 134 of the New Brunswick Liquor Control Act serves a "higher purpose," Richards said. It enables the province to regulate the distribution of a controlled substance and provides the "necessary" revenue to pay for associated social health and welfare issues, he said. Richards cited as an example the policing and medical costs that would have ensued if Comeau had gotten into a car accident on his way home from Quebec. "The province has a very legitimate interest in raising money through the sale of alcohol and therefore the control of alcohol," he said. Richards took only about 30 minutes to present his arguments — only half of his allotted time. Lawyers representing the attorneys general of Canada, Ontario, Quebec, British Columbia, Prince Edward Island, Saskatchewan, Alberta, Newfoundland and Labrador, Northwest Territories and the Nunavut minister of justice also made submissions on Wednesday, along with a lawyer representing an intervener group of agriculture supply management associations. Comeau's lawyers and 11 other interveners, ranging from small wineries and beer giants, to a marijuana advocacy group and a consumer organization, are expected to make submissions Thursday in the historic case that centres around the interpretation of a section of the Constitution Act of 1867. Comeau, a retired NB Power lineman from Tracadie, was stopped at the New Brunswick-Quebec border by the RCMP in 2012 and fined $292.50 for violating the New Brunswick Liquor Control Act, which sets a personal importation limit of 12 pints of beer (about 18 cans or bottles), or one bottle of wine or spirits. 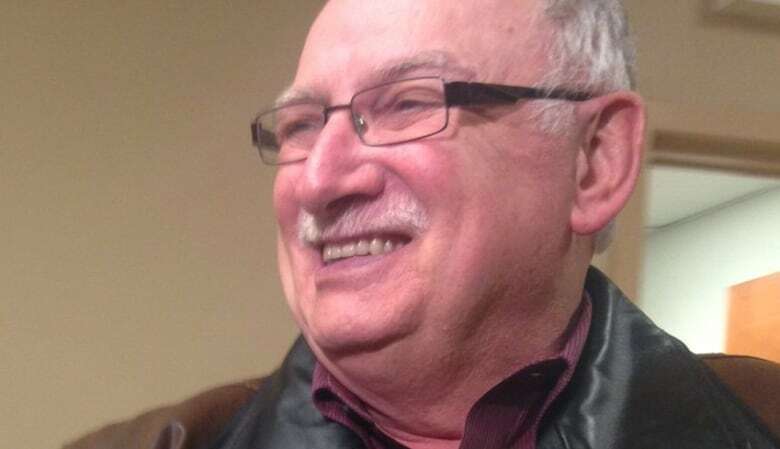 He contested the charge and Campbellton provincial court Judge Ronald LeBlanc ruled in April 2016 that the liquor restriction was unconstitutional because Section 121 of the Constitution Act states products from any province "shall … be admitted free into each of the other provinces." 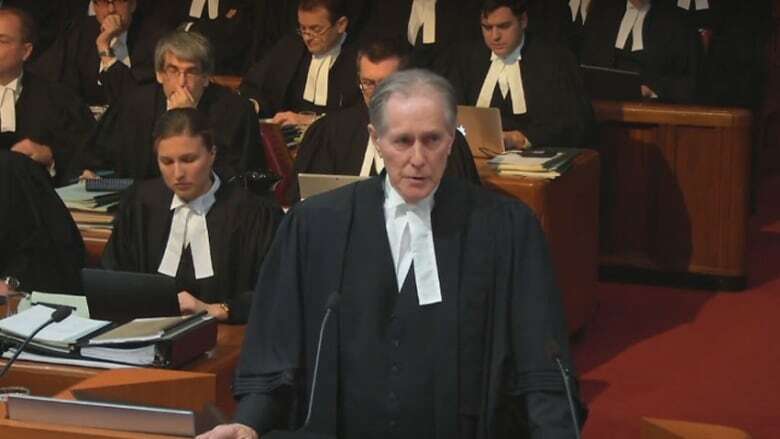 New Brunswick prosecutors are now appealing LeBlanc's decision to the Supreme Court of Canada after the province's highest court refused to review the matter. The court's decision could "radically reform the Canadian economy," according to Michel Kelly-Gagnon, president and CEO of the Montreal Economic Institute, an independent, non-profit research and educational organization, which is also an intervener. "If the court rules in favour of the free, unrestricted movement of goods between the provinces, this will not only call into question the provincial alcohol monopolies, but many other trade barriers could also disappear," Kelly-Gagnon said in a statement​. Ontario MP John Nater, the Conservative critic for interprovincial trade, said he is hopeful the Supreme Court's decision will be "a positive first step" in reducing interprovincial trade barriers. "Canadians recognize the economic benefits of reducing interprovincial trade barriers. Local businesses and their customers stand to significantly benefit from the outcome of this case," he said in a statement. 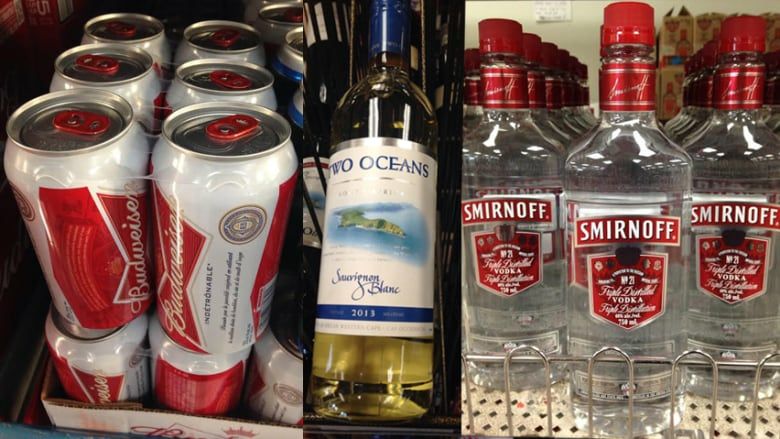 "It should not be a crime to buy Canadian beer, wine or spirits from another province." Nater, MP for Perth-Wellington, introduced a private member's motion last month, calling on the federal government to renegotiate the Canadian Free Trade Agreement with the provincial governments. The agreement signed by Justin Trudeau's Liberal government is "a disappointment," he said, because it fails to "adequately reduce" interprovincial trade barriers and is "filled" with exemptions. "Instead of creating working groups, the federal government needs to go back to the table and negotiate a deal which significantly reduces interprovincial trade barriers," Nater said. New Brunswick prosecutors argue upholding Comeau's acquittal would "propose an end to Canadian federalism as it was originally conceived, has politically evolved and is judicially confirmed" by the Supreme Court itself, which has previously held Section 121 prohibits only "customs duties," or interprovincial tariffs. Comeau's lawyers assert the Fathers of Confederation intended to allow the free movement of items between provinces, unrestrained by any barriers, whether they be tariffs or non-tariff restrictions that make importing and exporting products difficult or costly. The majority of the private interveners side with Comeau, seeking fewer barriers, which they say would be better for them, consumers and the country as a whole, with the potential to add an estimated $50 billion to $130 billion to the gross domestic product. Much of the discussion among the attorneys general focused on technical legal arguments and case law. But the lawyers for the two territories talked more about the impact of alcohol on people. Bradley Patzer said intoxicants are a "complex issue" for the Northwest Territories and the source of social and health stressors. The "true purpose" of the N.W.T. 's regulatory scheme for alcohol is rooted not in the regulation of trade but rather public health, he said. The territory has adopted "necessary measures," including increased costs, in an attempt to reduce consumption. It wants to ensure the interpretation of Section 121 does not impact its ability to use effective tools to deal with the "ills" caused by alcohol, he said. Similarly, John MacLean said there is an "unhealthy relationship" between the people of Nunavut and alcohol. Alcohol has led to "poor health, including fetal alcohol spectrum disorders, poor educational outcomes, family breakdowns and "definitely contributes" to the high suicide rate, which is 9.5 times the national average and has been declared a crisis by the government. "For us, it's not about money," he said, noting alcohol is not a significant revenue generator. Alcohol regulation is not a trade issue for Nunavut, but a public safety and public protection issue, said MacLean. The Dairy Farmers of Canada, Egg Farmers of Canada, Chicken Farmers of Canada, Turkey Farmers of Canada, and the Canadian Hatching Egg Producers acting jointly, however, say Comeau's position "could result in the destruction of supply management — a regulatory system in place for generations, on which the livelihood of thousands of farmers across the country depends." The hearing is scheduled to resume at 9:30 a.m. ET on Thursday.